Our state of the art, high speed equipment can produce artwork in a wide variety of shapes and sizes with the highest degree of quality possible. Need copies? 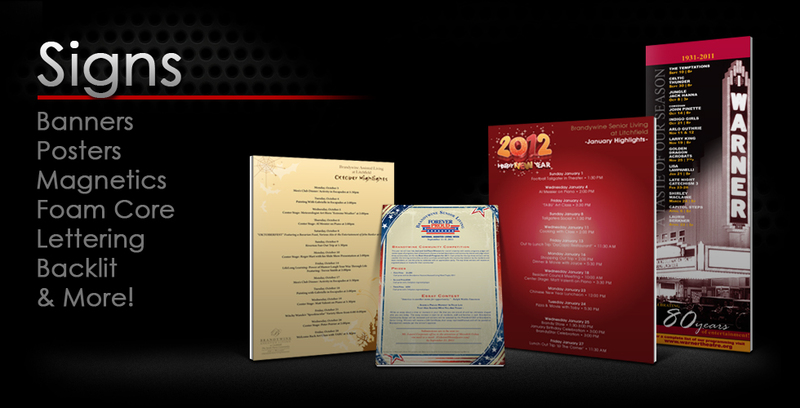 We can reproduce your black and white and color documents in any quantity, large or small. 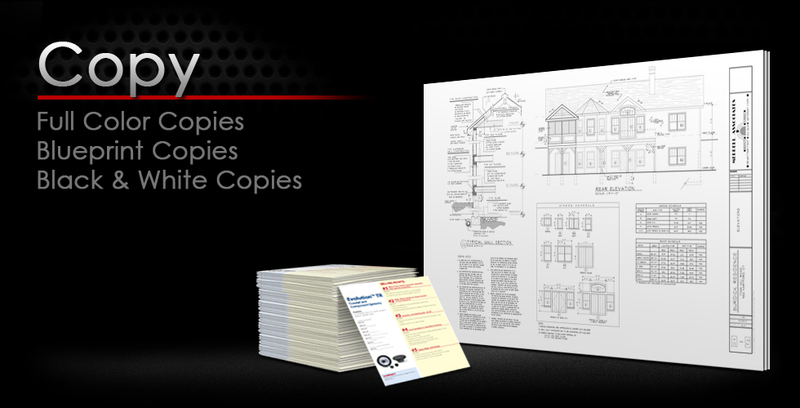 We can copy blueprints and other wide-format documents as well. We offer finishing services such as collating, binding, folding, and cutting to produce a professional-looking finished product. Make an impression with custom signage for your business or event. 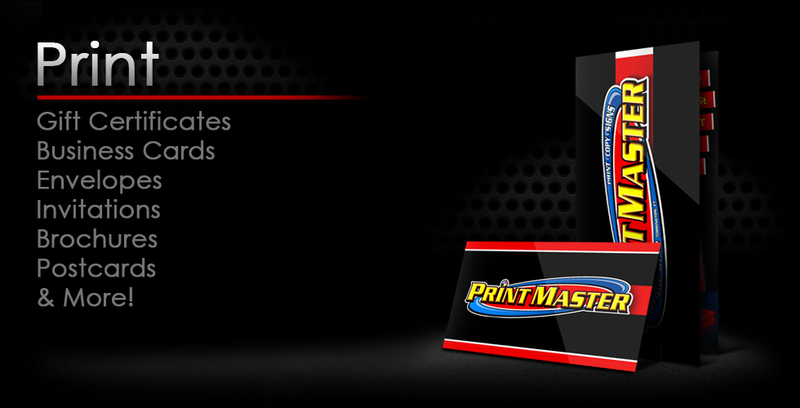 From foam core and plexi to posters and magnetics, we can manufacture signs in any shape and size. We can even produce and install banners and vinyl lettering.